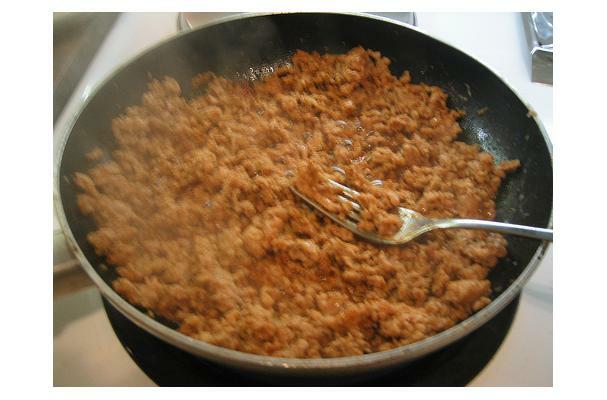 Ground chicken is made by putting the meat of a chicken through a meat grinder, producing a coarsely ground texture. Choosing: Some ground chicken are already prepacked in the supermarket. make sure it is properly packed or vacuum sealed. Always check for the "use-by" date. It is best to buy meat that is freshly ground. Always check for the color, make sure it is not pale or grayish in color and there is no foul smell when you open the plastic package. Buying: Buy only what you could use within 1 to 2 days. Make sure the portions are properly wrapped to avoid freezer burn. Freezer burn are the gray-brown spots on the meat caused by air reaching the exposed surface of the meat. Repackage the ground meat into smaller portions if you are not going to use them all at once.Store them in the coldest part of your fridge or in the freezer. It would be great if you could also label them so you can keep track on which to consume first.